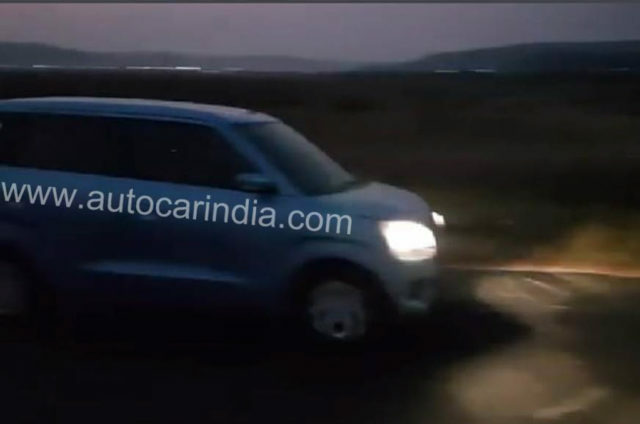 Maruti Suzuki has lined up the new generation Wagon R as its next biggest launch in India and it carries plenty of expectations owning to the phenomenal success of outgoing model. With two decades of presence, the Wagon R is a household name among Indian customers in the budget space. It will be retailed from the regular Arena dealerships catering to volume needs. A few days ago, we revealed that Maruti Suzuki would begin production of the new-gen Wagon R in mid January before going on sale in the early parts of next year. Now, the undisguised production-spec Wagon R’s fresh set of images have emerged. 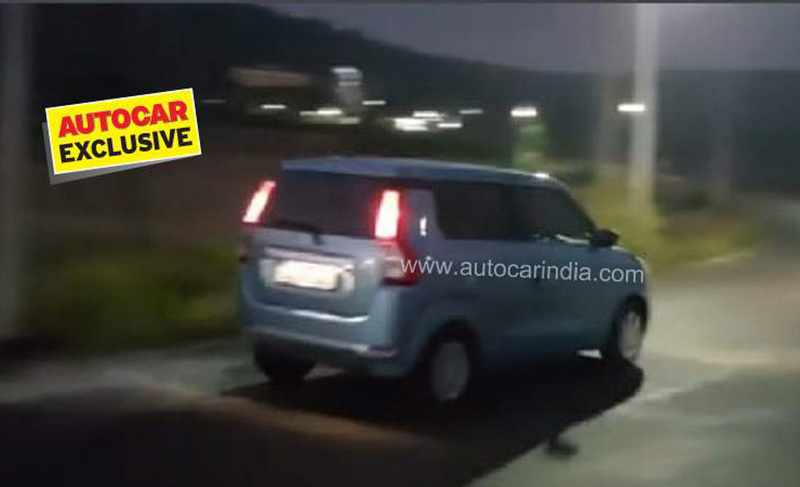 The 2019 Maruti Suzuki Wagon R has retained its traditional boxy appearance and the roofline is fairly straight as usual. Due to its signature tall pillars, the upcoming Wagon R gives an indication of increased interior room for occupants amidst staying put with similar wheelbase or a slight alteration to it. One thing we can be certain about is that it does not have the same design as the sixth generation international spec model sold since early 2017. It also features vertically positioned tail lamps at the rear as opposed to the unique bumper integrated assembly followed elsewhere. The largest carmaker in the country appears to have made the new Wagon R more premium than the outgoing model and it will renew its old rivalry with the recently launched Hyundai Santro, along with Datsun Go facelift, Renault Kwid and Tata’s best-selling Tiago. Maruti Suzuki engineers look to have made substantial changes to the front fascia, which includes ditching the conservative headlamps for a rather prominent unit. The revisions to the bonnet and bumper section meant the new Wagon R has far better appeal and road presence than the model currently available in the market. Subtle changes to the fenders, side creases and roofline design to have a floating profile are indeed welcoming additions. Unlike the global model based on Heartect platform, Maruti Suzuki will likely continue to use the existing architecture for cost reasons and it will be updated to meet stringent safety and crash test regulations. We can expect the top-end variants to come equipped with touchscreen infotainment system while several safety features could be offered as standard to comply with government mandate. No big powertrain changes seem to be in the pipeline as the 1.0-litre K10B three-cylinder petrol engine could be tuned to return more mileage. It generates 67 bhp at 6,200 rpm and 90 Nm of peak torque delivered at 3,500 rpm, and is mated to a five-speed manual as standard or an AMT transmission as option.